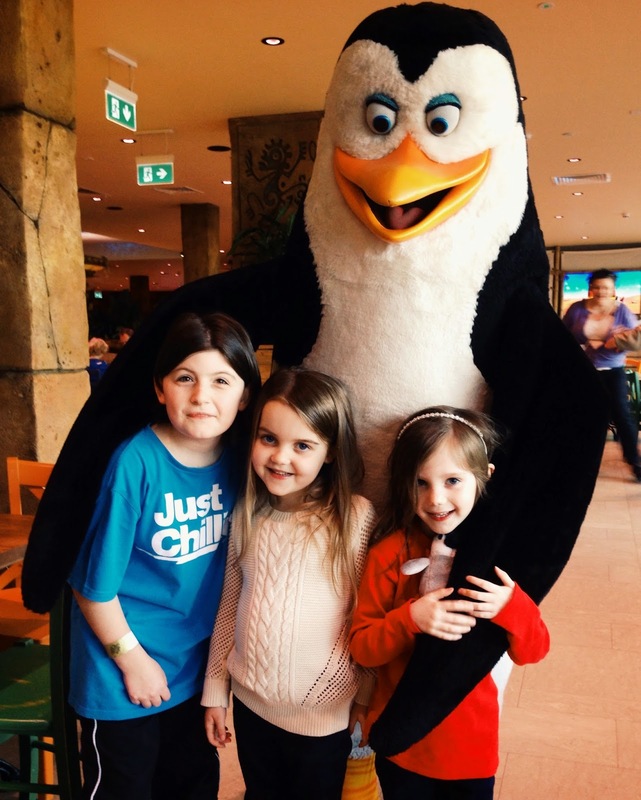 Last Friday, the girls and I were invited to the Chessington World of Adventures Resort to celebrate the launch of the Year of the Penguins and attend a private screening of DreamWorks Animation’s Penguins of Madagascar, which is out on Blu-ray, DVD and Digital HD on 30th March. Chessington’s Year of the Penguins features a newly refurbished Penguin Bay (with six new Humboldt Penguins arriving in April for the new Penguin Presentation! 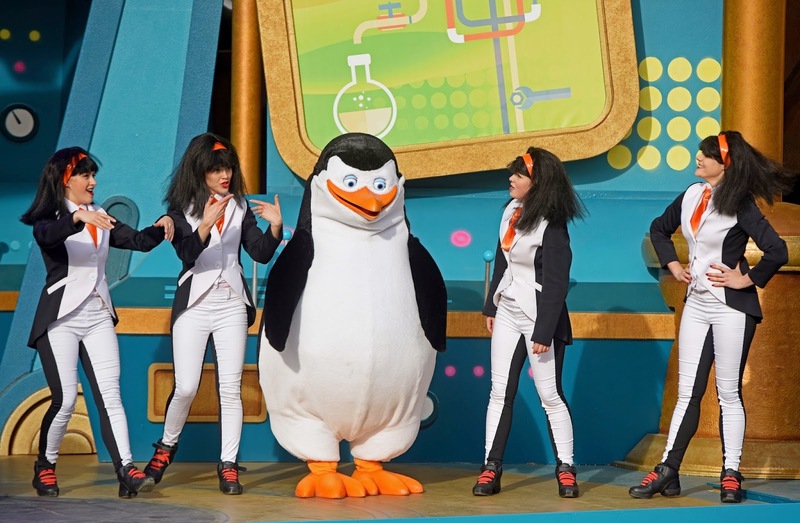 ), new Penguins of Madagascar themed hotel rooms at the Safari Hotel, the new Penguins of Madagascar Mission: Treetop Hopper ride experience and the new show: Penguins of Madagascar Live! Operation Cheezy Dibbles! which we were some of the first people to see. We stayed in the newly opened Azteca hotel which was really something. Designed to look like ancient Aztec ruins, each room is fully themed and has a separate sleeping area for the kids. The girls were THRILLED with every aspect of our hotel; the dark lighting in the hallways, the carpets with patterns to make them look like wood and the walls adorned with illustrations of aztec gold and cheeky monkeys - and then there was the 'challenge' that was set for them on entering our room which absolutely made their day (and kept them occupied while I unpacked!). With the new Savannah Splash water play zone within the leisure club, two themed restaurants, character breakfasts and evening entertainment for the kids, a stay at a Chessington Resort Hotel would make an absolutely brilliant short break - and mean you wouldn't have to try and cram a go on every single ride, and visit to every single attraction into just one day. We had a private screening of the movie on the Friday night (we loved it!) and got to meet some of the characters in the flesh, then afterwards we checked out the children's disco which was BRILLIANT. Daisy and Evie loved being taught lots of dance routines - and the evening ended at a very respectable 9pm, with a bedtime story. The breakfast buffet the next morning was delicious and the girls ate ginormous amounts which really set them up for a day of exploring the park. We started our day watching Penguins of Madagascar Live! Operation Cheezy Dibbles! and I have to say it was actually very good. Lots of theme parks have their own live shows with their own characters and they never really manage to capture the full attention of their audience. This one absolutely did! I think the fact we all know and love the characters made a massive difference but the costumes, special effects, songs and storyline were all awesome too. I actually laughed out loud at parts of it and we all know how grumpy I can be in the mornings. After we'd watched the show we were left to our own devices for the day and had such a blast exploring the park. 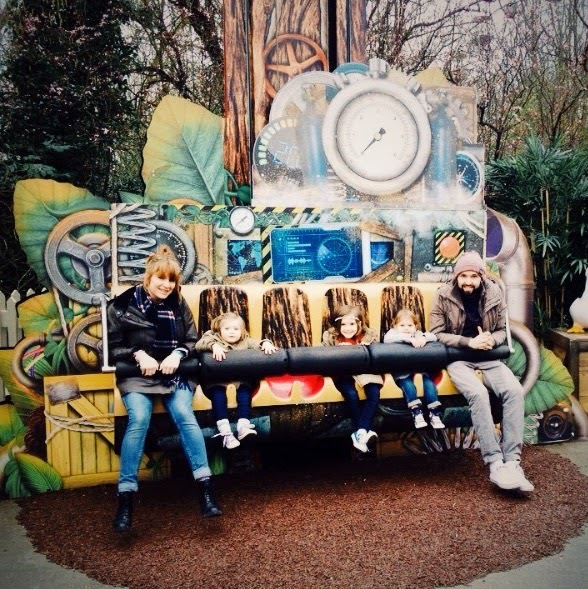 There were a lot more rides for the littlies than I was expecting, plus the Sealife Centre and Zoo were brilliant. It really would have been easy to spend an entire second day there. 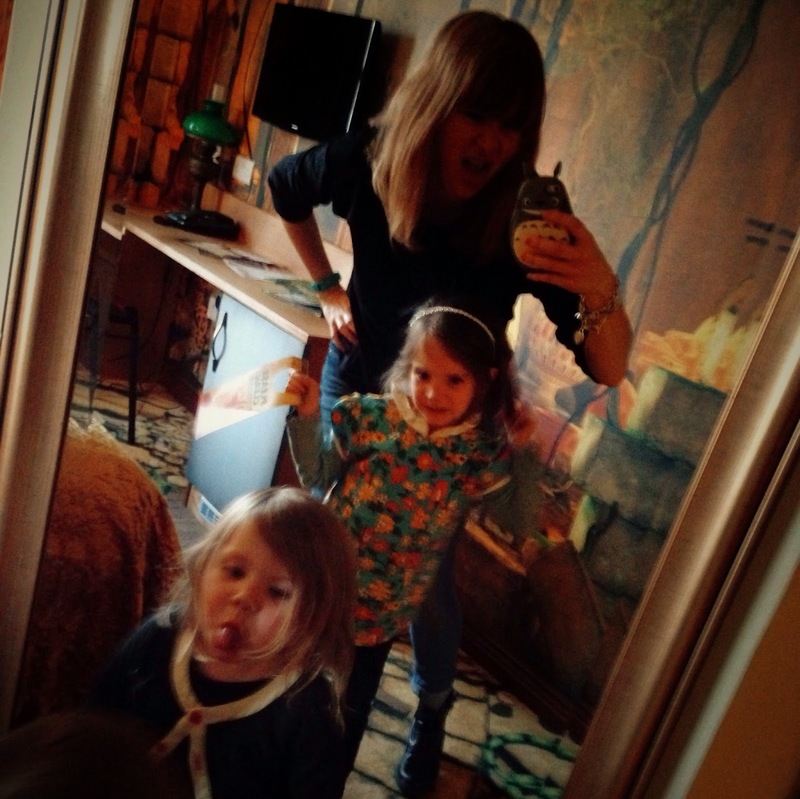 Thanks a million to Chessington and DreamWorks for inviting us down for the weekend; we loved every minute of our trip! 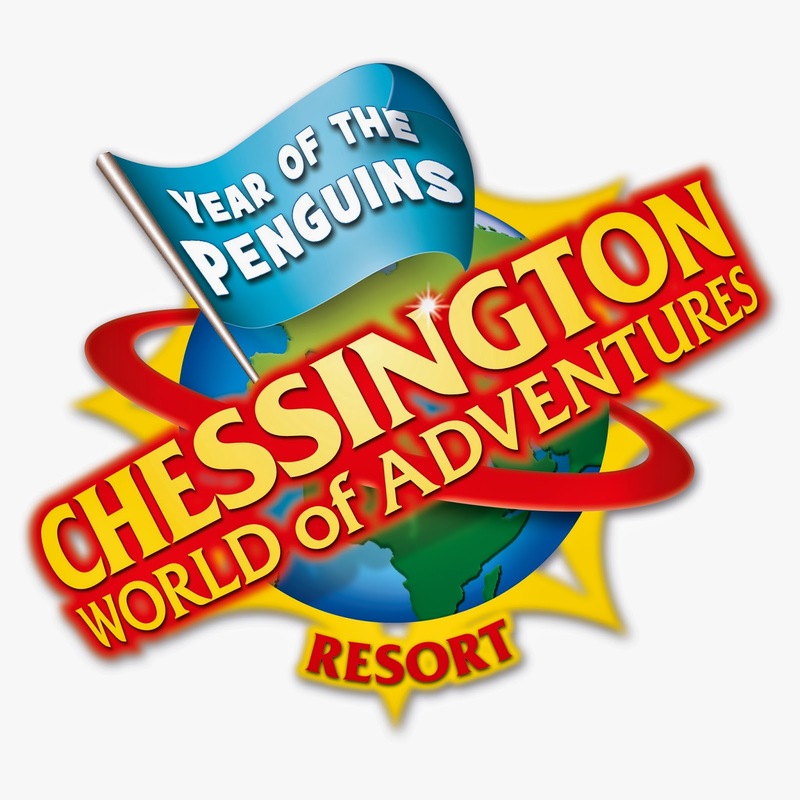 For the best deals in 2015 book on Chessington.com for Early Bird tickets. With prices starting from just £26 per person, individuals and families can save up to 43%. This discounted ticket has limited availability per day and is only available when purchased online at least 5 days before your visit. If they have sold out you can still buy their next best priced Early Bird ticket for just £31 per person when booking online at least a day before you visit! 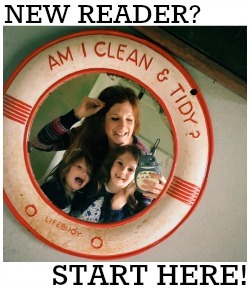 Remember guests under 0.9m get in for FREE!